A wide variety of abnormalities have been reported in this type of disorder. The most serious is glaucoma which is present in at least half of patients. Other common features are abnormalities of the iris (the colored part of the eye), the pupil, and the teeth. The latter may be partially missing and are often cone-shaped and small. The middle part of the face appears flat and the lower lip often is relatively prominent. The umbilicus (‘belly button’) fails to retract properly in most cases and appears to have excess skin. Rarely there is some hearing loss and there may be cardiac defects. 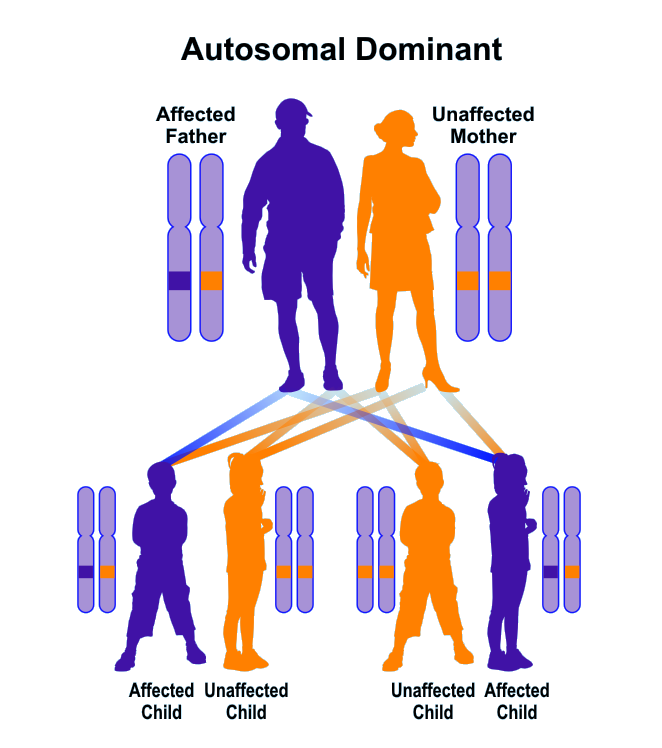 Regardless of type, this condition is inherited as an autosomal dominant disorder that requires only one copy of the mutation to cause disease. Thus, the pattern of inheritance appears in a vertical configuration as the mutation is passed from one generation to the next. An affected parent thus has a 50% chance of passing the responsible mutation to each of the children and therefore half of the offspring on average will inherit the Axenfeld-Rieger syndrome. The facial and umbilical features often allow the diagnosis at birth. All offspring of affected parents should be examined during infancy as the glaucoma my already be present. This requires immediate and lifelong treatment. Dental evaluation is also important early in life to allow treatment early if necessary. The prognosis is excellent, especially if no glaucoma is present. Low vision aids may be useful.